Hundreds of people allegedly confessed to eating human flesh given to them by one of four men facing cannibalism charges in South Africa, reports say. human flesh,” according to the newspaper. 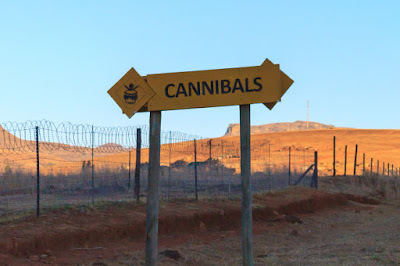 Col. Thembeka Mbhele, a police spokesman, said Mbatha — one of the accused cannibals who also acts as a traditional healer known as a “nyanga” – was arrested in Amangwe, where more body parts were found. Mbatha had apparently worked as a practicing healer in Ladysmith before fleeing to Rensburgdrift earlier this year after another nyanga was reportedly attacked and killed, Majola said, although that killing has not be confirmed.